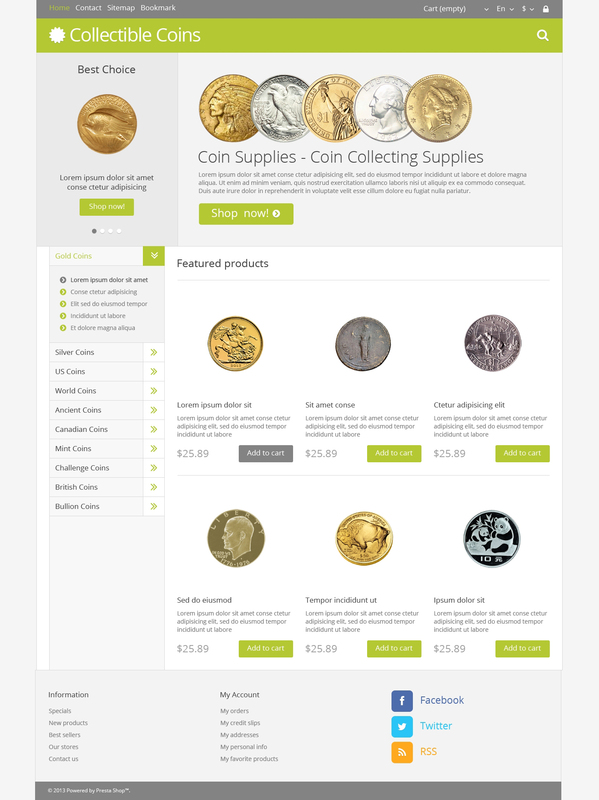 Collecting coins is a hobby of many people all over the world. However, there is no great competition among stores selling these rarities online. So, don't waste time, start to earn money today with our professional template. Store structure is rather unusual. Slider is much smaller than banner next to it. Menu is placed vertically in the left sidebar and has drop down option.